The Innocents Abroad details Mark Twain's journey on the very first cruise from the United States. And what a cruise! It was a six month grand tour of the Mediterranean and Holy Lands (Paris! Rome! Venice! Jerusalem! Cairo! ), crossing the Atlantic both ways stopping at islands along the way. Wow. Okay, yes, Mark Twain wrote it, and I know, you're probably thinking, geez, Mark Twain. Aw, man. Yeah. I had a bad experience with that guy in school too. But ignore the fact that that's who wrote it — it's hilarious. And it's about cruising! You often can't tell it was written almost 150 years ago. And did I mention it's hilarious? I can't guarantee you'll laugh out loud like Mrs. Cruise Fellows Cruise Director and I did, but we actually did. Read it before a cruise or after a cruise, and you'll bring back fond memories of being on a cruise. Or of course read it on board and add to your cruising enjoyment. This special edition has been commissioned specifically for CruiseFellows, and includes not only the original 234 beautiful and humorous illustrations but also archival photos of the cruise ship itself, a history of the ship from the U.S. Navy, a biography of Mark Twain and many photos, including some of how he looked at the age he was during this voyage. The illustrations alone are an indispensable addition that help understand the sights Twain describes. Most versions of the book don't have the illustrations and it loses a lot without them. I have to admit Twain was actually really good at capturing the character of people and places. As one of America's most famous humorists, his satirical, subtle style can bring smiles of humor and recognition into even the most matter of fact subjects. 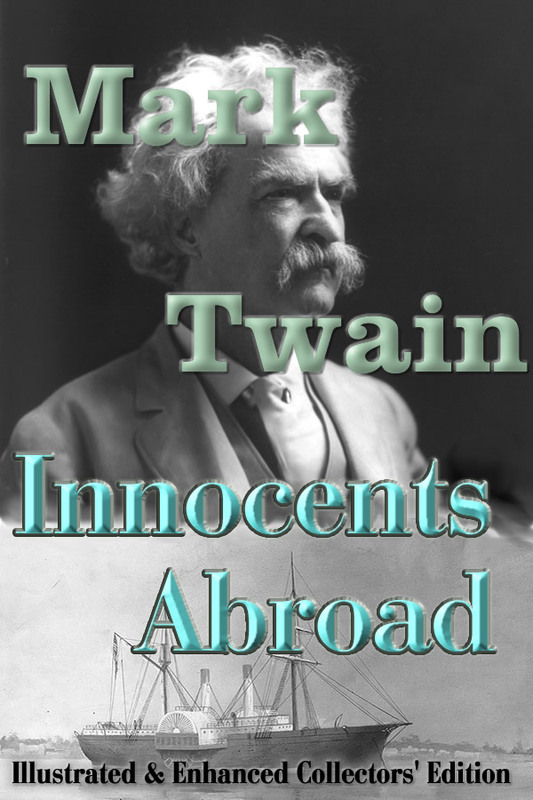 The Innocents Abroad was Twain's most famous work during his lifetime, and earned him his reputation as one of America's foremost writers. From a cruising perspective this book is unique. I mean, wow, the first cruise ever from America. It's amazing how much life aboard ship sounds like a modern day cruise, and having been to many of the ports and taken similar excursions myself, the book remains a valuable sort of travel guide. So come journey to amazing ports on a modern cruise with Mark Twain as your personal guide (or call him Ferguson — in joke, you'll have to read it to see), and bring the book along as a reference when you travel. It's a must read if you like cruising. You won't regret it.